personalized graduation ribbon Archives - ThirtySevenWest ThirtySevenWest - Creative ideas about personalized custom ribbons, woven tags and labels, personalized gifts and more!!! Custom logo ribbons are simple, personal, and elegant. 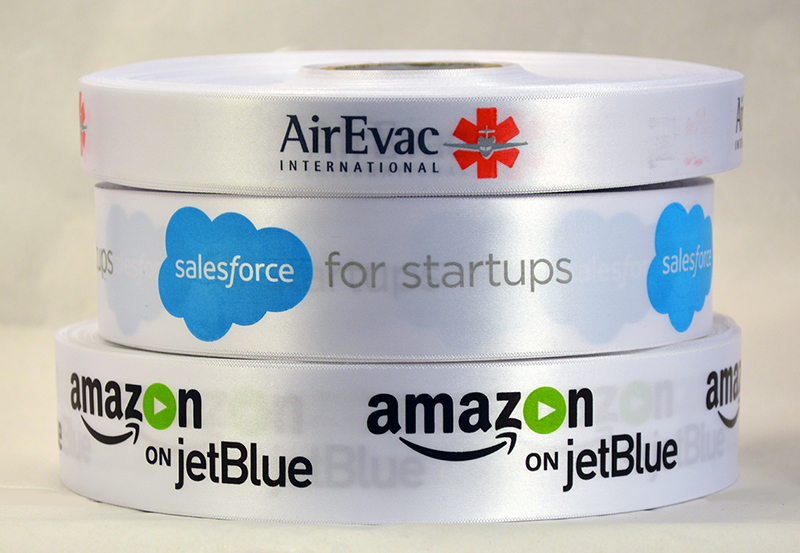 Here are 4 fantastic ideas to promote your brand in a creative way using custom logo ribbons. As simple as they may seem, ribbons are a simple and elegant way of adding a personalized touch to almost anything. It is no secret that the corporate world is quickly adapting to the fact that people tend to connect better with companies who portray more of the human element behind their corporate façade, and custom printed ribbons are an easy way to do that! However, that hint of personalization with custom printed ribbons doesn’t usually make the cut – corporate entities need a little bit extra to merge personalization with subtle marketing/promotion. This is where the corporate printed ribbons come into play. A conference, team meet, a team building event, a corporate milestone celebration – the business world has a lot going on all the time. Often, companies want to mark these events with memories and souvenirs that allow the people present there to cherish and remember the moment for a long time. Now, handing these away these keepsakes just like that doesn’t make sense. Make it attractive and memorable with a custom logo ribbons that stamps your existence on it – simple, attractive, and meaningful. There is no fixed time to show your employees that you care for them and that they are an important part of the organization. The “good” companies just need a reason to appreciate and promote the efforts of their employees as much as they can – be it during the holidays or for a remarkable achievement on their part. You get gifts for your employees – excellent! But remember, people appreciate it more if the gifts they receive are thoughtful and personalized. So, keep inspiring and appreciating by giving gifts intricately wrapped/packaged in a thoughtful way and add finishing touches with custom logo ribbons ordered in bulk from us at Thirty Seven West. Launching a new product or re-launching an old one? Regardless of what means of external promotion you use to market the product, you need to ensure that it attractive packaging and a selling point that is just too hard to resist. Companies often celebrate different milestones by including their loyal customers in the festivities. The 10 year milestone or reaching 50,000 fans on their social media page with contests make for occasions that businesses use to promote themselves further via contests or free gifts or milestone souvenirs that are aimed at winning customer loyalty. By simply adding a custom logo ribbons to these gifts and giveaways, you can actually engrave your company’s logo into the customers’ minds in an extremely subtle way. What happens next is that they remember you and your business for a longer time. Ribbons are one of the few decorative elements that can be put to a vast range of uses. Whether it’s for wrapping gifts, adding finishing touches to a bouquet, giving a feminine touch to something, or simply making things look more appealing – ribbons work! With the vast array of colors, widths, and sizes they come in, ribbons are an ideal article to be customized with personal touches. Typically, custom printed ribbons contain personalized messages, meant to add a special charm to the overall presentation of things. These ribbons are a simple way to add that little bit of extra personality to the overall arrangement of your big day. Think of custom printed ribbons for your wedding favors. Get your names and the date you tie the know printed on one side and maybe a short and sweet thank you note on the other side – great way to personalize those giveaways. 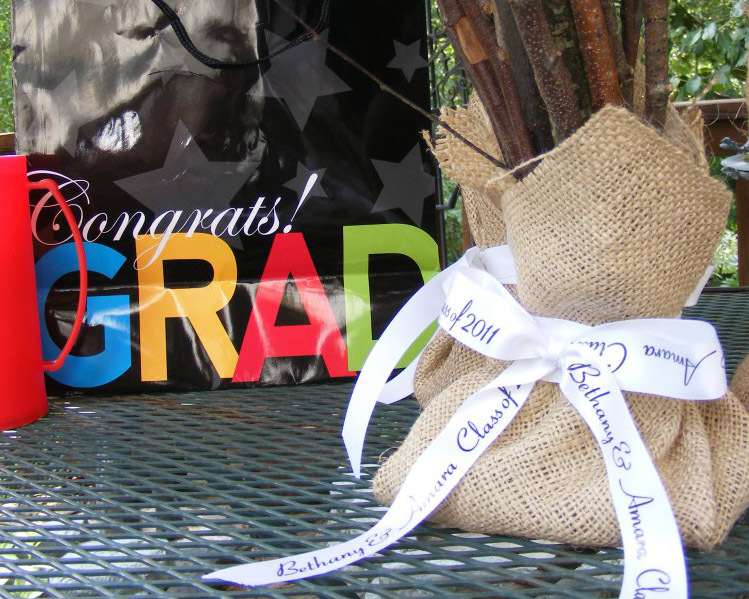 You found the perfect gift for your graduate? Great! It’s now time to make sure it is as special as the occasion and the young star of your family. A simple customized printed ribbon to wrap the graduation gift is exactly what you need to make the gift and the time memorable. Here’s the plus point: they can tie it around their favorite mug, or simply hang it somewhere they can see it all the time – it’s easier to hold on to a memory in scripted on a ribbon like that. Whether you run a small home-based business selling organic soaps or a seasoned with a huge product line, packaging is something that can make a great deal of difference in your product popularity. Ribbons, like we mentioned before, are commonly used to add finishing touches to a number of different things – including ribbons for product packaging. Get them custom printed with the name of you business and your logo, and they become a great tool for spreading brand awareness and creating brand recognition. Christmas, birthdays, Easter, Halloween – celebrations come and go – and then there are the gifts! Every year, people spend a fortune on buying and wrapping gifts for their loved ones during holidays or special occasions. Well, instead of paying for expensive gift wrap make meaningful expenditure on custom printed ribbons for holidays, or birthdays, or Halloween – think unconventional, think personalized. Trust us, your gifts in their customized wrapping will definitely stand out and look gorgeous! Also, thoughtful – the thought always counts! We often look for big and bold ways to make things and events special. In doing so, we tend to overlook the charm and intimacy of keeping things simple – as simple as custom printed ribbons. They are the perfect definition of simple, personal, and elegant; and trust us; it’s all you need to make something a lot more special than it actually is. 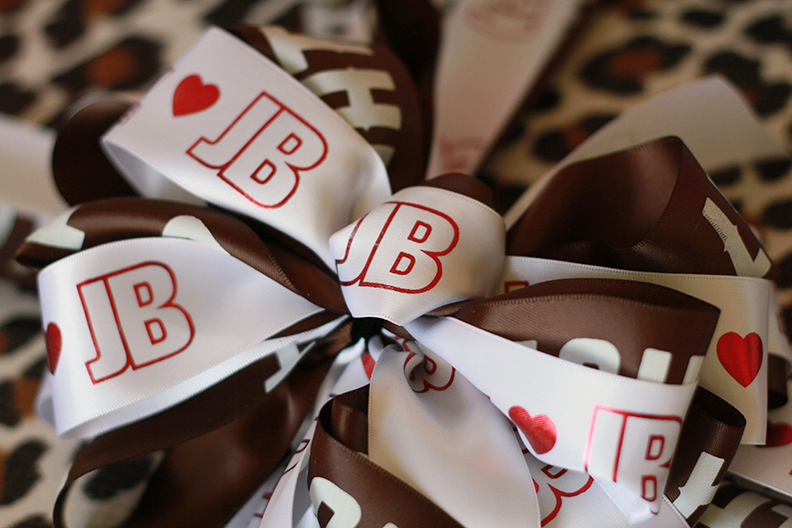 So what occasion do you want to get your custom printed ribbons for? CLICK HERE TO ORDER YOUR CUSTOM PRINTED RIBBONS NOW!